Born in Philadelphia, Dr. J. Carter Balart was raised in New Orleans. He traveled to Virginia for college, earning his B.S. from Hampden-Sydney College in 1997, and then returned home to Louisiana, receiving his M.D. from the LSU School of Medicine in New Orleans in 2001. From New Orleans it was on to Alabama where he performed a three year residency in Internal Medicine at the University of Alabama-Birmingham, completing his program in 2004. He then earned a fellowship in Gastroenterology from the Medical College of Georgia-Augusta in 2007 before joining The Baton Rouge Clinic. Dr. Balart holds certification from the American Board of Internal Medicine – Gastroenterology and is licensed to practice in the state of Louisiana. 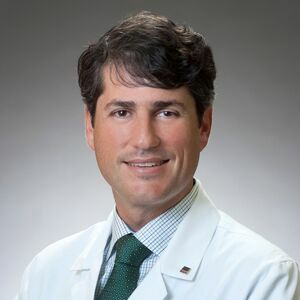 Since joining the Baton Rouge Clinic in 2007, he has served on the Clinic’s Board of Directors and is a member of the Clinic’s Executive Committee. Additionally, he is a member of the American College of Gastroenterology and the Louisiana Gastroenterology Society.